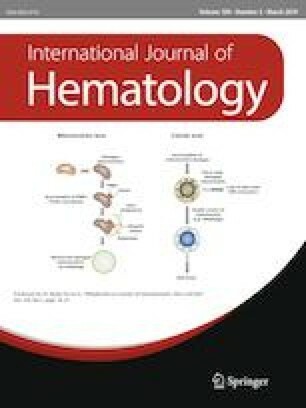 We retrospectively analyzed efficacy and safety of therapy with rabbit antithymocyte globulin (rATG) in combination with cyclosporine A (CsA) in 30 Japanese adult patients with acquired aplastic anemia (AA) in the Kyoto Clinical Hematology Study Group. The median observation period was 31 months and the median age of the patients was 54 years. The objective response rates (ORRs) to rATG plus CsA increased over time until 18 months after the start of treatment; the rate of achievement of better than partial response at 18 months was 66.7%. The 2-year overall survival (OS) rate was 79% in all patients. In eight patients aged ≥ 75 years old, the ORR was 62.5% and the 2-year OS rate of 50% was not significantly inferior to that in patients aged ≤ 74 years old. The overall mortality rate was 16.7% in our cohort, while the mortality rate in patients aged ≥ 75 years old was 37.5%, which was higher than that in patients aged ≤ 74 years old (9.1%), although the difference was not statistically significant. Collectively, rATG combined with CsA is an effective and feasible treatment for AA, while patients should be appropriately selected. Nana Sasaki and Kazuho Shimura contributed equally to this study. The online version of this article ( https://doi.org/10.1007/s12185-018-02583-w) contains supplementary material, which is available to authorized users. We are grateful to all current and past contributors to KOTOSG (Supplementary information). J.K. received grants from Sanofi, during the conduct of the study.